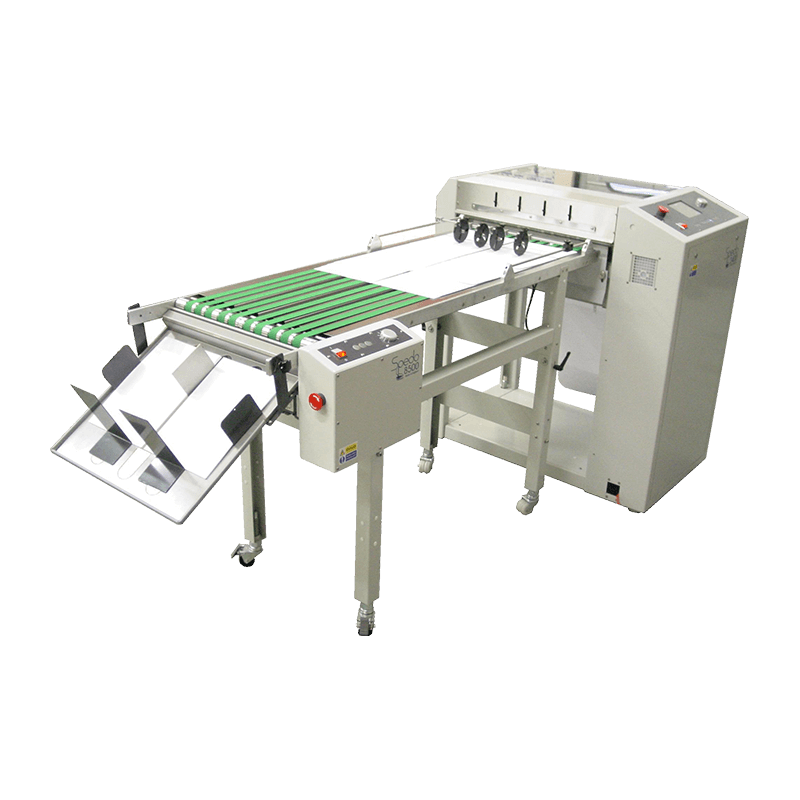 Increase productivity with high quality stacking machines. 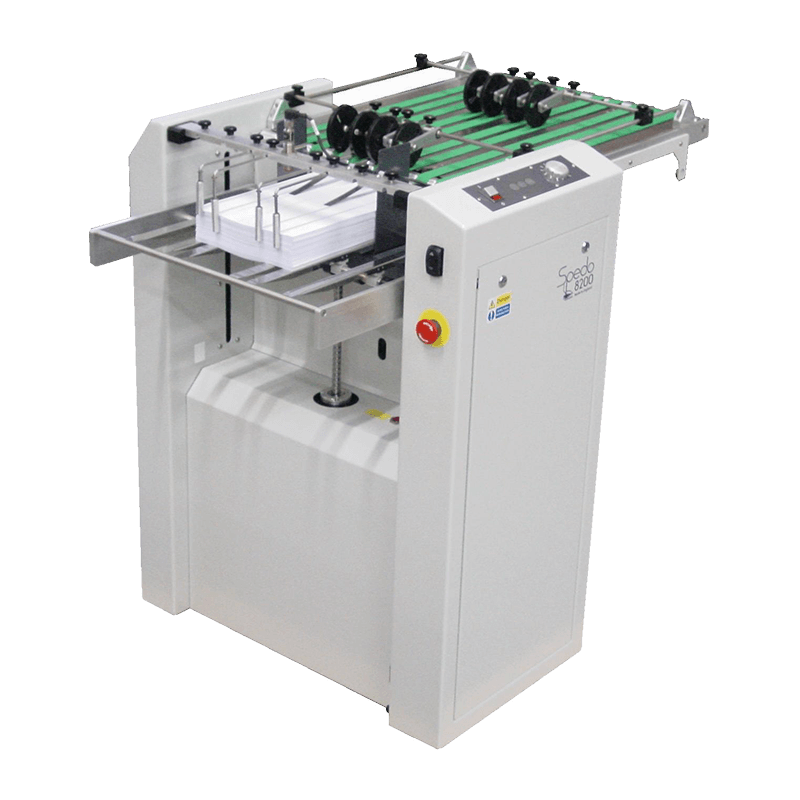 The Spedo 8200 Descending Stacker has been designed to run in-line with the Spedo range of continuous forms cutters. Cut sheets are accepted from the forms cutter and shingled and stacked to produce a neat stack ready for finishing. 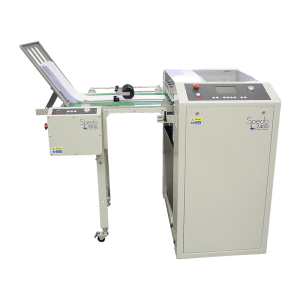 Using the Spedo cutters boost / batch function, stacks can be taken away quickly with only a minimum delay thus increasing productivity. The Spedo stacking tray connects to any Spedo forms cutter, allowing the user to neatly stack the finished forms ready for collection. 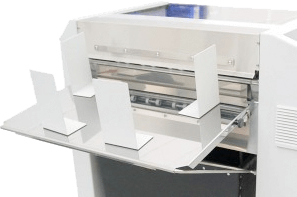 The fully adjustable magnetic paper stops make changing between forms sizes quick and simple. The Spedo 8500 Conveyor Stacker designed for both off and on-line applications. Operator adjustable height, for greater form control. Systems control allows the operator to pause the system from the output conveyor. Optional Down-stacking for extra capacity. Optional Boosting and Batching facility allows greater flexibility. The Spedo 8100 Conveyor Stacker designed for both off and on-line applications. Smaller footprint than standard conveyor stacker.